The mission to look for life on Mars is on its way to the Red Planet. 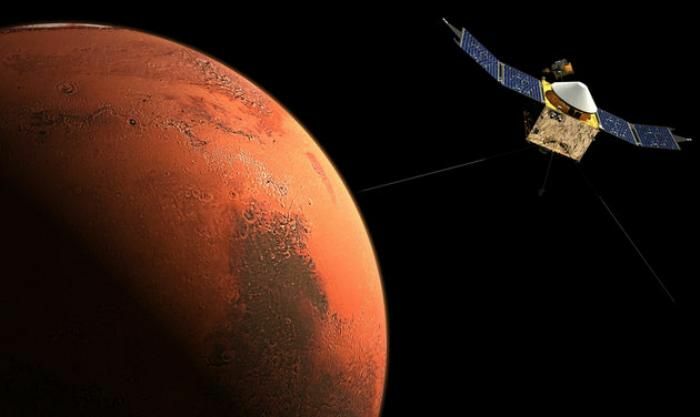 The European Space Agency (ESA) and Russian Federal Space Agency (RFSA) have sent a robotic probe to Mars to find if the planet has any traces of life. Dubbed as ExoMars 2016, the mission lifted off from Baikonur Cosmodrome in Kazakhstan on a Russian Proton rocket at around 3 pm. The seven-month journey will search for life on Mars. The first phase of the mission will have the Trace Gas Orbiter (TGO) and Schiaparelli lander - an entry, descent and landing demonstrator. The TGO will make a comprehensive inventory of Mars' atmospheric gases, particularly rare gases like methane, whose existence implies that there's an active, current source. "TGO aims to measure its geographical and seasonal dependence and help to determine whether it stems from a geological or biological source," the ESA said in a statement.